So, after thinking about it throughout the evening and overnight I think I'm going to break things down more into smaller steps in terms of everything I want to change. I'm going to start with cutting back calories and really being careful with my carb amounts and what I'm eating. Focusing more on healthy foods and less on low carb easy foods and treats. If that doesn't do the trick in a couple of weeks, I'll go ahead and add the extra hours of Intermittent Fasting. This way I'm not overwhelming myself and I'll know what it is that's working for me. 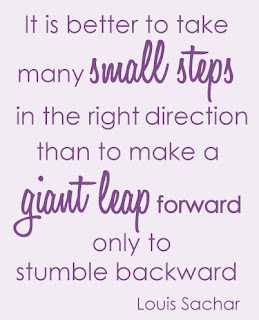 It's also better for me to take little steps and not feel like I'm taking on too much. Also, as a friend just mentioned, I am coming back from some injuries and am currently still sick and that could well be affecting my weight fluctuations and I really don't want to drive myself crazy. So for now I'll stick to the 16:8 IF window (somedays it may be shorter when I get up late) like today, I didn't start breakfast until 10 am and I don't like to eat past five so today will be a 7:17 window.